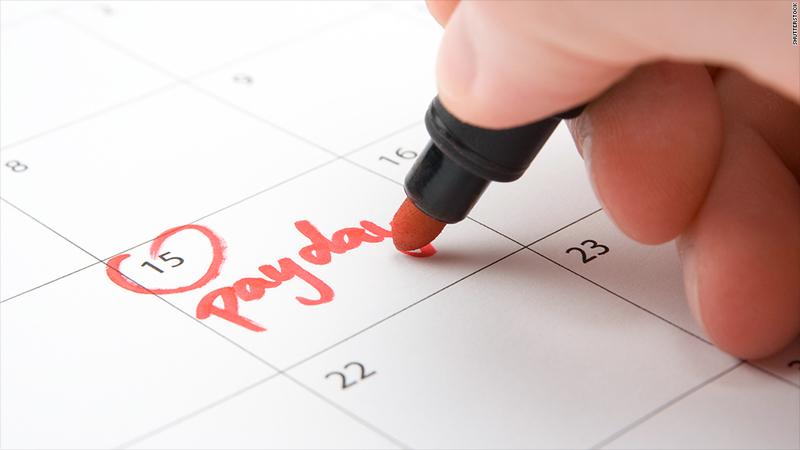 Workers rejoice: Economists say their companies are granting more pay raises this year. Forty-three percent of economists surveyed by the National Association for Business Economics (NABE) said their firms have increased wages in the last three months. That's up from last year, when only 19% of economists were reporting wage gains. Even if wages aren't going up at your workplace, the tide of cutting wages might be done. No one reported pay cuts at their firm, while 57% said wages were flat. As for the future, 35% of economists said they expect their firms to raise wages in the next three months with the other expecting wages to stay the same. The survey is of 79 economists who represent a variety of industries. About 40% of their firms employ 1,000 people or more. While the survey is encouraging, other data show wages are rising but not enough to keep up with rising prices. In fact, once inflation is factored into the equation, so-called "real wages" were actually 0.1% lower in May, than they were a year earlier, according to the Bureau of Labor Statistics. That data is far more comprehensive than NABE's survey, including about 144,000 businesses and government agencies nationwide. Federal Reserve Chair Janet Yellen has said she wants to see wages rise faster than inflation this year so households experience a real increase in their take-home pay. "If we were to fail to see that, frankly, I would worry about downside risk to consumer spending," she said at a press conference in June. The Bureau of Labor Statistics is scheduled to release its latest data on inflation and real earnings on Tuesday at 8:30 a.m. ET.